Deadline reports that Universal Pictures and Legendary have come together to secure the movie deal for Red Notice, a brand-new action movie that will star Dwayne Johnson (Jumanji: Welcome to the Jungle, San Andreas) and will be written and directed by Rawson Thurber (Central Intelligence). Red Notice is going to be a “globe-trotting, heist thriller” and Johnson will have a co-star. The Deadline report mentions it has big potential to become a tentpole franchise, which led to the heated bidding-war between multiple studios, including Warner Bros., Paramount, Sony and even Netflix. Expect the movie to be out as soon as 2020, as the pitch came with a lead, a writer/director, a production team, and an expected start date. A budget of up to $125 million was included in the report, with Johnson getting $20 million and Thurber receiving an eight-figure salary for his role as writer and director. Beau Flynn of FlynnPictureCo. 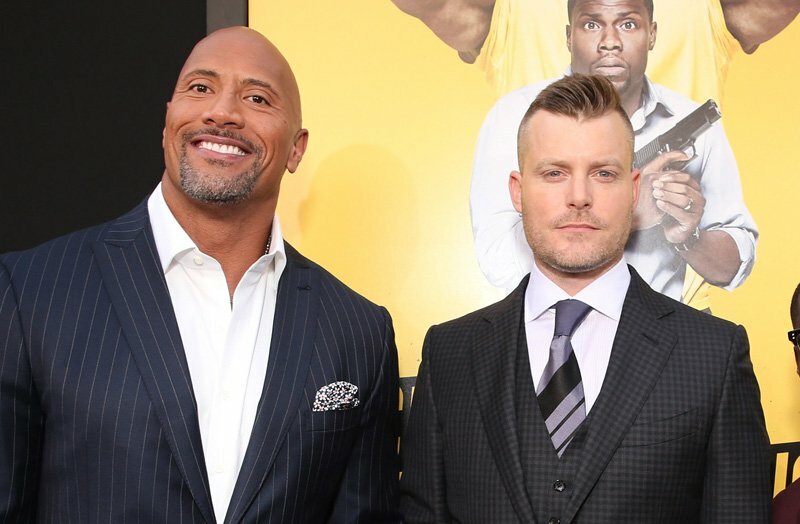 is producing the film alongside Dwayne Johnson, Dany Garcia and Hiram Garcia of Seven Bucks Production, as well as Rawson Thurber. Wendy Jacobson is the executive producer. Johnson and Thurber have collaborated before on Central Intelligence and on the upcoming hostage rescue movie Skyscraper. Red Notice starts production in early 2019.